Spiegel & Grau, 9780385525039, 464pp. lived for almost two years on the Thai-Burma border, among Burmese exiles and dissidents, many whose stories on which The Lizard Cage draws. She won the Governor General’s Award for Nonfiction for Touch the Dragon, A Thai Journal, published in the United States as Dream of a Thousand Lives, a New York Times Notable Travel Book. 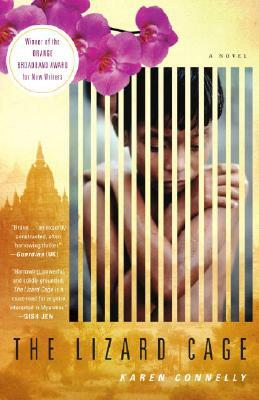 The Lizard Cage is her first novel and was a finalist for the 2006 Kiriyama Prize for Fiction.